On the outside it looks like no follow thru. Too many ideas, Way to many passions. Starts and stops, announcements and then abandoning them. Repurposing an offering that was meant for something else. To an observer, and most definitely your inner perfectionist/critic, you’re a mess with no follow thru. Just pick something and do it already. 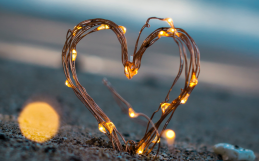 You’re inspired to start a new project, launch a new offering to your clients, holding out hope that its everything that your heart has wanted for you all of this time and so you leap. You follow the inspiration through to its manifestation of being something out in the world and then once its out there it wasn’t want you thought it would be. It didn’t have the reach or the success that you intended, or perhaps the clarity came in after the fact letting you see that it wasn’t this thing, it’s something else. I’ve done this so many times in my life, I’ve lost count, I’ve made announcements to my clients for a multitude of reasons, one being, planning to close my clinic and join another, and then 3 days later walk it back and state a change of heart. This one was big, it was confusing, I signed the papers with a smile and then couldn’t stop crying for 3 days until I decided that I couldn’t go through with it. The following back and forth directions since then haven’t been as significant, announcing something and then letting it die off because I could tell that once it was out of head and down of paper it really wasn’t for me. In the moment, I judge myself pretty harshly for this, but In the almost 5 years since the big one! I’ve learned 2 really important lessons. First, This is an unlearning for me, a release and surrender of my Inner Perfectionist shell that I show the world. Its pretty prevalent in my life and likes to call the shots a lot. With each of these course corrections or perceived missteps, I’m actually growing, calling my true self forward out into the light. My perfectionist doesn’t want to admit that I’m actually a klutz, and so naturally things are going to be a little bumpy as I roll things out. So with that awareness, I get to be gentle with myself when I say something publicly and then decide to walk it back, never with disregard for others feelings or wellbeing, None of the things that I haven’t carried on with have really impacted anyone aside from myself for the most part. And because each and every one of them lights a fire in our bellies and we so want to make something happen we start putting each of these ideas and passions into being. But not all sparks are meant to be fires, some burn out quicker than others, and its only in the practice of listening, and taking action, and learning to discern our own hearts true wanting that we can begin to know which sparks are merely there to entertain us for a moment and which ones are leading us to our destiny. It may feel awkward at first, but if you’re new to listening to your hearts whispers over your head, try all of the things. You can change your mind, you can abandon what doesn’t feel good or when its clear that its not quite what you or your heart had in mind. We only know what we know and so treading into unchartered territory is going to feel a little uncomfortable, you might have a few feelings, but ultimately you will being to recognize if its a steady step in the direction of your truest self or its not. If its not there is really know point in going through the motions just to keep your word to someone else or that inner perfectionist. Let it go, and be willing to try again. Each time you will learn more about yourself and choose an even more aligned path the next time around. If you’ve been at this for a little while and wanting a little more refinement in how to proceed, I usually recommend my clients that they take note of the inspirations, write them down and then remain relatively unattached to them for the summer months, and then see whats still there and feeling good in early September. The Fire Element has its own built in ways to refine ideas and sparks, burning off those that aren’t right and clearing the way for whats really asking to come forward and be given its full due. 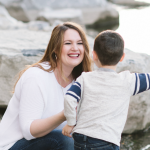 Have questions or need support, you can reach out to me here. For myself, the Fire Months burn a little too hot for me, and I’ve learned that its best for me to come inward and be a little less visible. I will still be in clinic with patients, you can book a session HERE, and I have about 6 openings for 1:1 Mentoring Sessions in July and August, you can find out more details by CLICKING HERE. Otherwise, I intend to hang out with my family, write – I’m hoping to get a first draft of my book done over the next months so wish me luck. 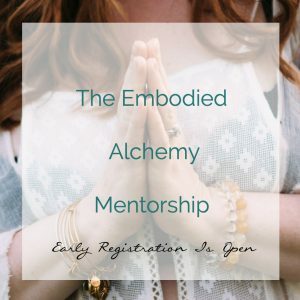 And If you’re still considering joining us for the upcoming Embodied Alchemy Mentorship, Applications are are still available. Click Here For Details.